With the central slogan "Athens, Antifascist City", more than 4.000 people protest the rising phenomena of violence against immigrants. The rally started after prayers for a Pakistani man who was stabbed to death by suspected right-wing extremists. 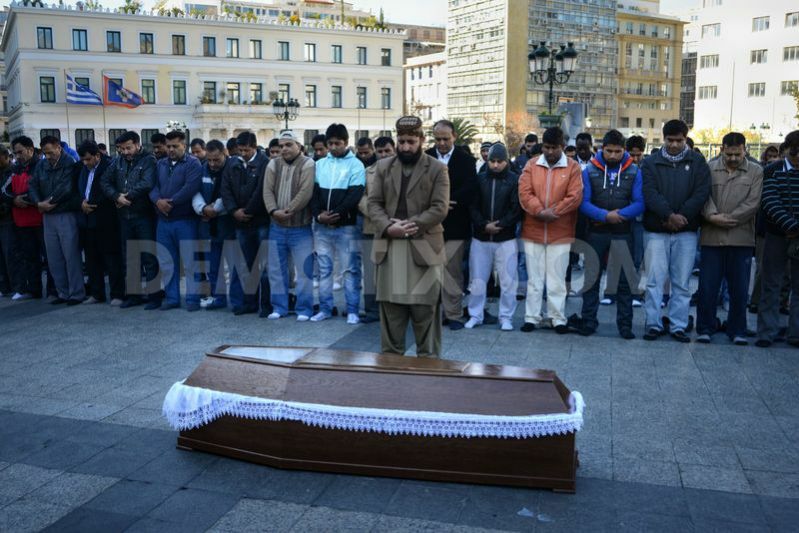 About 150 members of Greece's Pakistani community gather outside Athens City Hall and offer prayers for one of their own who was fatally stabbed by suspected extreme rightists. 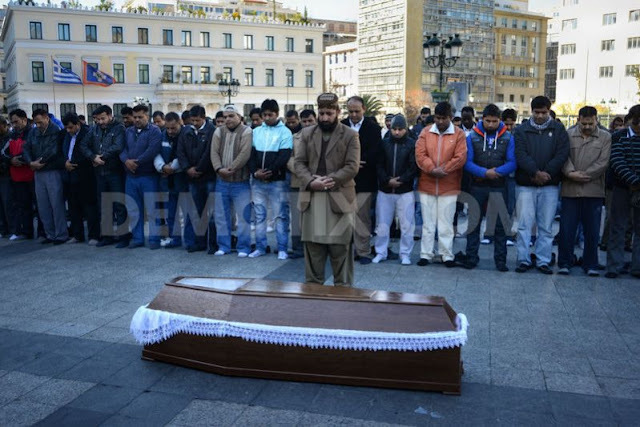 Members of Greece's Pakistani community gather outside Athens City Hall and pray over the coffin of Pakistani immigrant Shehzad Luqman, who was fatally stabbed by suspected extreme rightists. 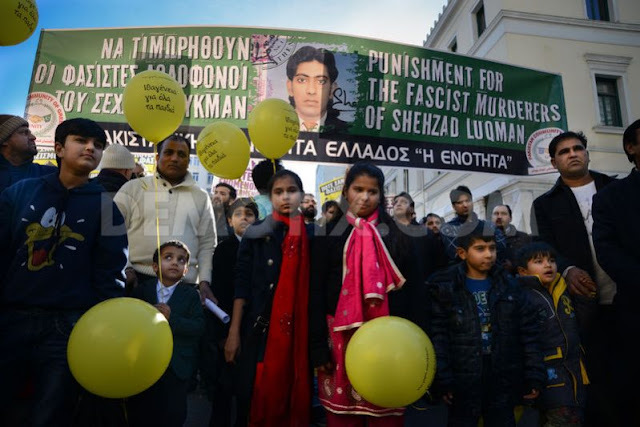 Pakistani children take part in the antifascist rally, in Athinas Street. 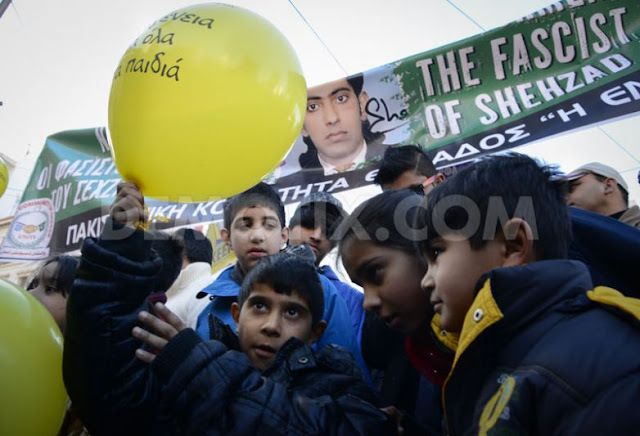 Pakistani children that take part in the antifascist rally, play with a balloon with a written message that reads: "Citizenship to all children". 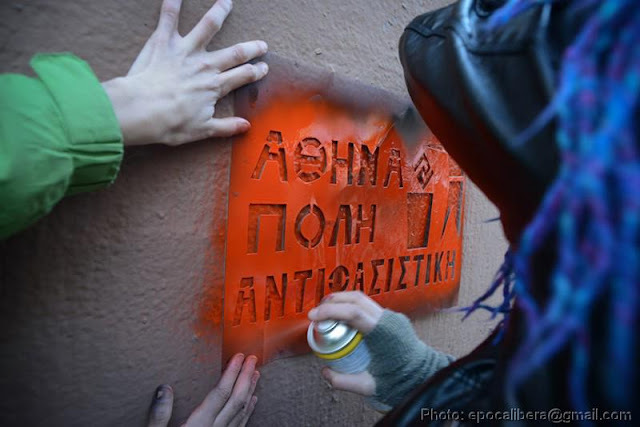 Antifascist graffiti stencil is sprayed on a wall during the demonstration. 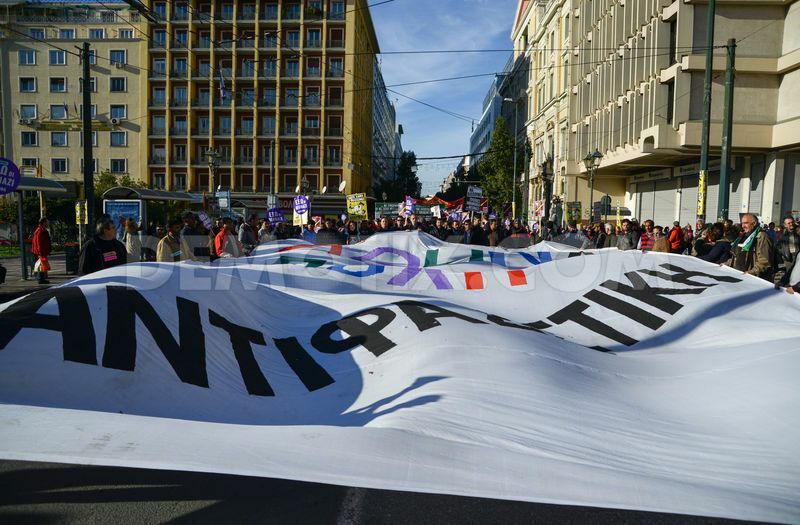 A huge banner that reads: "Athens, Antifascist City" leads the demonstration. Protesters hold anti racist and anti fascist placards during the demonstration. 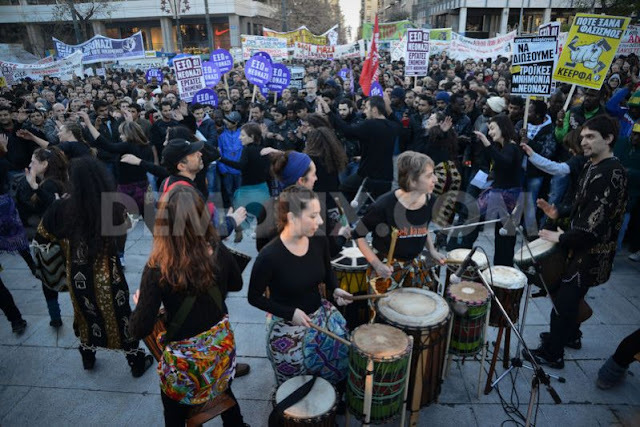 A concert in Syntagma Square follows the rally. 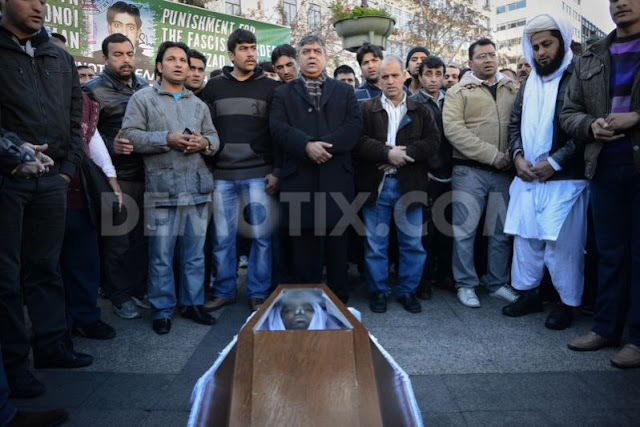 Members of Greece’s Pakistani community gather at midday outside Athens City Hall, to say prayers for one of their own who was fatally stabbed by suspected extreme rightists. Mourners pray over the coffin of Pakistani immigrant Shehzad Luqman 27 years old. Luqman was stabbed to death by two men on a motorcycle as he rode his bicycle to work in the Athens neighborhood of Petralona, early on Wednesday. 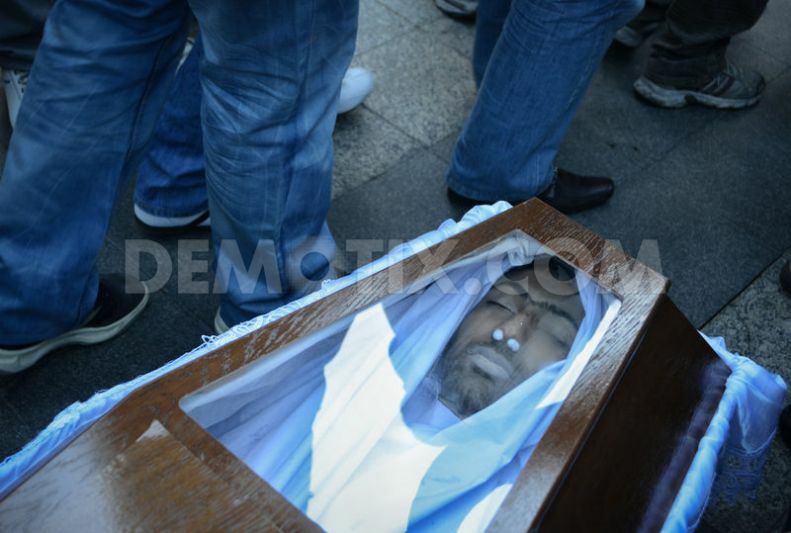 According to police, the attackers, a 25-year-old and a 29-year-old firefighter, admitted they stabbed him in the chest. 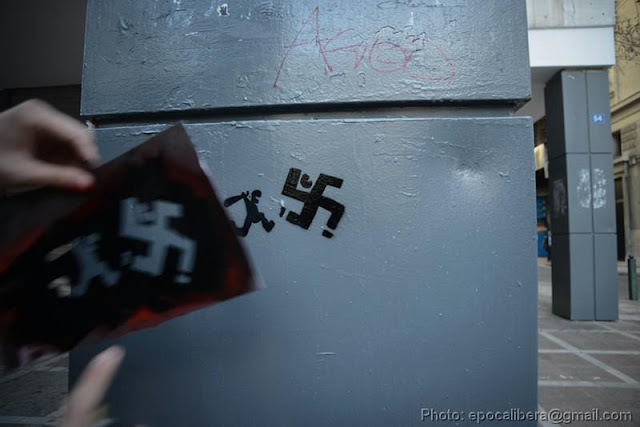 Police are investigating whether the attack was racially-motivated after discovering dozens of pamphlets of the ultra-nationalist Golden Dawn party in the home of one of the attackers. 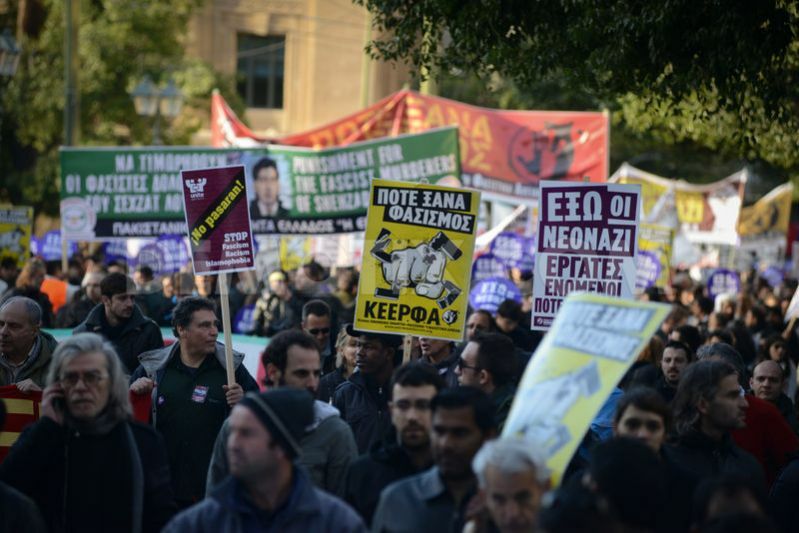 The protest with central slogan "Athens, Antifascist City", was programmed months ago, and accidentally occurs after the stabbing of the Pakistani migrant. Thousands of immigrants and human-rights activists march in Athens on Saturday to protest against racist attacks in Greece as the country struggles to pull itself out of a severe debt crisis. 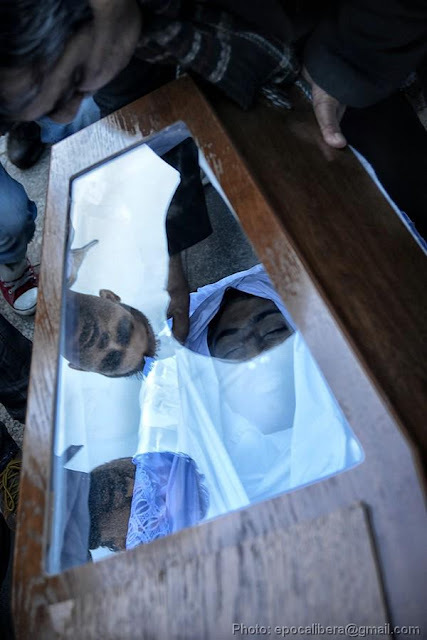 Press release by Amnesty International about the murder of Pakistani youth.